Whites You Need for the 4th! | the wine snob. Whites You Need for the 4th! A quick post before our annual summer vacation from July 3rd-7th! This Thursday night, the 1st, we’re doing a special night of Whites You be Needin’ for the 4th of July. All of the wines I’m about to blather on about may be consumed for $4 a glass on Thursday night, and then ones you like best may be whisked away with you that very night (after you purchase them, of course)! Yes, you know you need to stock up that cooler before you high-tail it out of Columbia. Why do I know you will be doing that? because that’s what you all did last year! The night before 4th of July weekend, we had a total of 6 customers at Cellar on Greene. Columbia was like a ghost town. Which is fine- have fun, be safe, but STOCK UP! Especially on some killer summer whites! What else could you want for the beach?! Beer, I suppose. Beer tastes good at the beach. But so does Opala! And the rest of the wines I’m about to tell you about…. 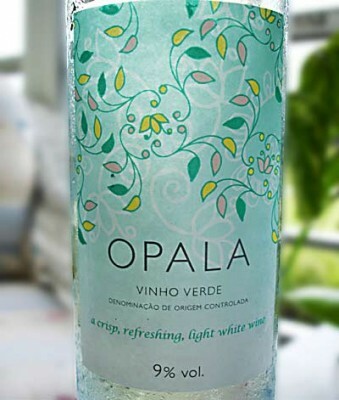 Opala Vinho Verde (Portugal) really needs no intruduction- it still remains the most visited post out of all the wine rants I’ve created over the last year and a half. It’s our best seller at Cellar (get it? seller? cellar?). It’s $10 a bottle. I seriously doubt there’s anyone who hasn’t tasted this wine and not loved it. It’s light, it’s crisp, it’s a little fizzy, and it’s low in alcohol, so you can practically sip it through a straw while you roast in the sun and never get more than a pleasant buzz. We have PLENTY in stock, so stop in and grab as much as you need! 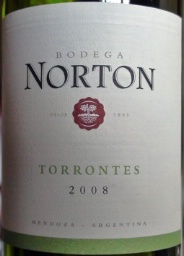 Norton Torrontes (Argentina)– this is a new one to me, but I *heart* torrontes, and so do a lot of our regulars. Stylistically this one’s a bit on the drier side, which is nice for a summer wine. Torrontes tend to have very flamboyant noses, with lots of bright fruit going on- sometimes hints of candy like jolly ranchers and gummy bears- but then they surprise you when you with their crispness when you get to the palate. This one has leafy notes, with granny smith apple and tangy lemon flavors. Delish! $10 a bottle! 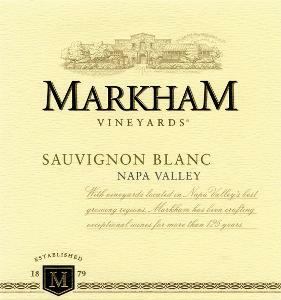 Markham Sauvignon Blanc (California) is definitely an above average Cali Sauv Blanc for this price range ($13 a bottle). California Sauv Blancs are some of my favorites where Sauv Blanc is concerned- I love New Zealands as well, but occasionally I feel as though I’m chewing either a.) a grapefruit rind, or b.) a mouthful of grass. The Markham offers delightful tropical hints- passionfruit, guava, gooseberry- finished off with nice lemony and white peach notes. Fantastic alone or delicious with a fresh green salad and a citrusy viniagrette of sorts. Fish, chicken, even a lightly prepared pork- perfect! Very versatile wine. Pighin Pinot Grigio (Italy). Okay, I said it- Pinot Grigio is probably my least favorite white wine. BUT! When it’s good, I love it! And it still has a stronghold over people, because it sells like hotcakes in the hot weather. The Pighin is from Friuli, which gives it a leg up over other Pinot Grigio’s- the grape manages to maintain it’s intensity. Peachy stone fruits, a silky texture, a h int of hazelnut, and a touch of melon lead into a classic, clean finish. Yum! $10 a bottle! Last but not least, Lonen Charonnay (California). A lush, rich little Cali Chard, which despite the the amount of “anything but Chardonnay” press there is out there these days in wine-snob land- still maintains strong selling presence… pretty much everywhere. 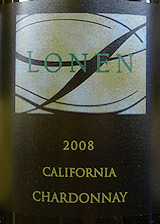 The Lonen is like a big, ripe basket of exotic fruits- pineapple, mango, light touches of orange blossom and a luxurious, butterscotchy-oaky-toasty finish. Delicious and a fantastic value for $13 a bottle. That’s all I have time for today! Likewise, if you need some REDS for the 4th, too- just let me know and I will hook it up in a jiffy while you’re sipping away on your $4 glass of white. And maybe some tuna nachos, too? That’s what I just had for lunch. Ah, the benefits of working at Cellar on Greene. Tuna Nachos whenever I want!